Happy Saturday everyone! 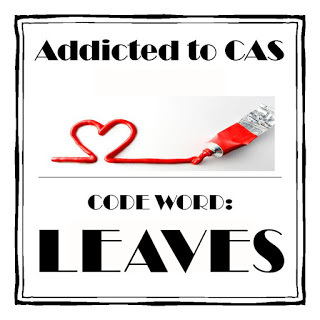 I have a quick, super CAS post today! Did you know the mistletoe berries are actually white? 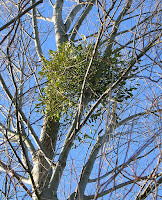 Most photos show the berries red - so perhaps people mix holly with mistletoe?? 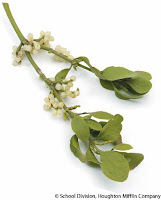 So here is my accurately presented Mistletoe card!! I absolutely love this mistletoe stamp from the Festive Foliage set by Waltzingmouse. 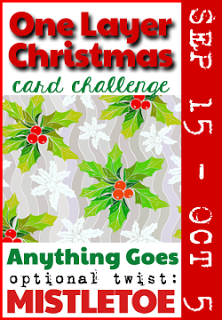 Beautiful Mistletoe card, perfect for the OLCCC challenge, thanks for joining us. 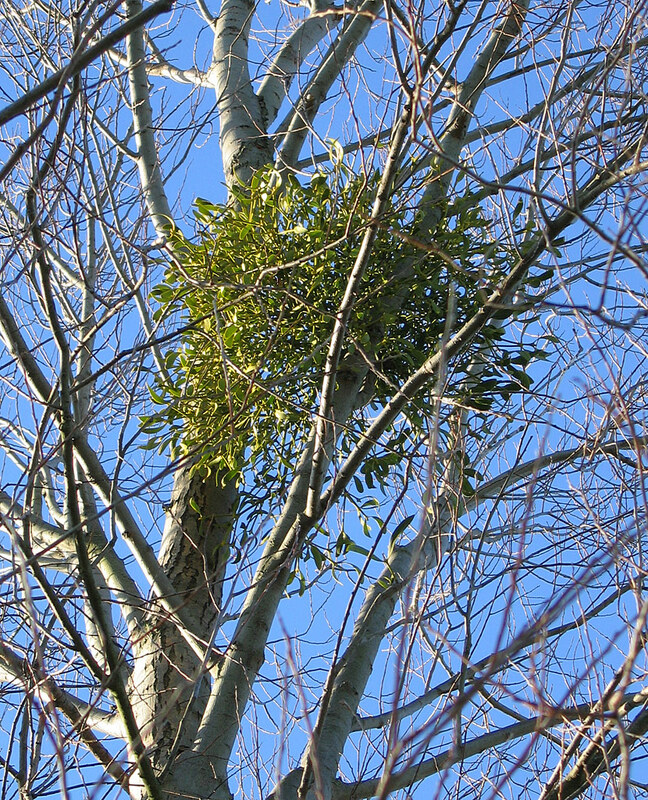 super interesting mistletoe facts...love your card Julia! I have to confess I did know the berries are white! I'm sure you're right about people getting it mixed up with holly... but as long as we can have festive greenery, I'm prepared to forgive them! 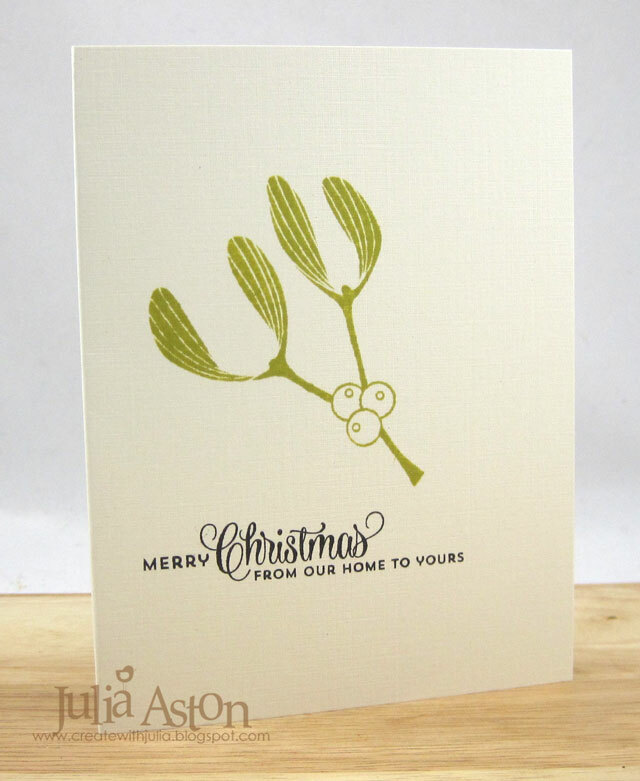 Gorgeous delicate CAS card, Julia. Wow such a sweet card love it. Thanks for joining us over at ATCAS. 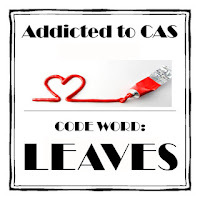 perfect sweet CAS card. Thanks for joining us at ATCAS! !